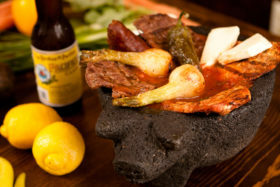 All Molcajetes served with rice, beans, salad and tortillas. 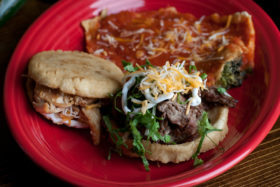 Grilled flank steak alongside one cheese enchilada, pico de gallo, grilled scallions, roasted jalapeños and refried beans, served with corn or flour tortillas. This Plate is up to You! 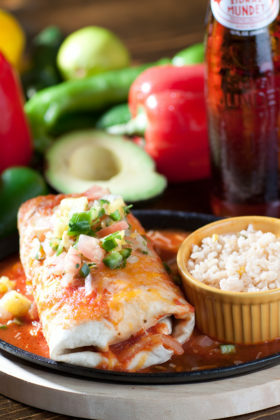 Combo entrée served with rice, beans & salad, and your choice of shredded or grilled meat. Vegetarian choices are: mushrooms, beans or cheese fillings. No substitutions.